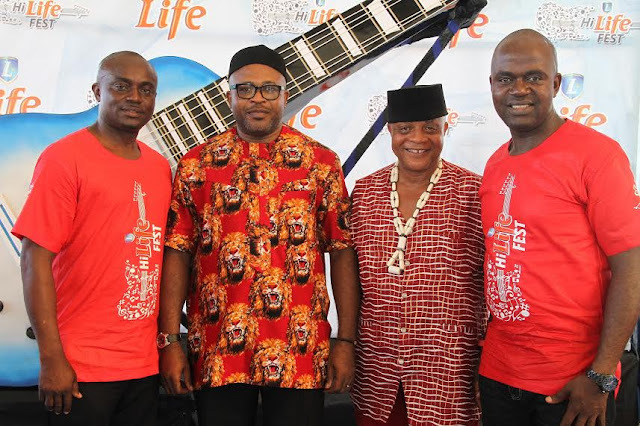 Life Continental Beer, a brand from the stables of Nigerian Breweries Plc., has launched Hi-Life Music Fest, a musical competition aimed at celebrating and promoting highlife music in South East Nigeria. 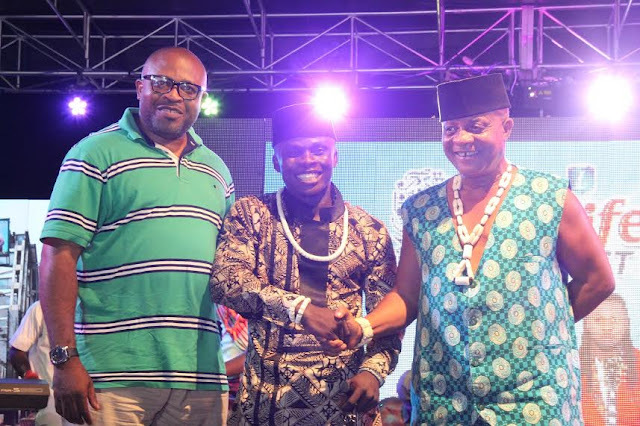 The music competition which kicked off with the first set of auditions in Owerri on April 10 - 11, 2017, held its first regional finals on Friday, April 14 at Cubana Lounge. Auditions and regional finals will later hold in Port Harcourt, Enugu and Aba with the grand finale set to hold in Onitsha. “Life Continental Beer is all about the progress of the people of the South East, this is evident through our ongoing project – Life Progress Booster Show. 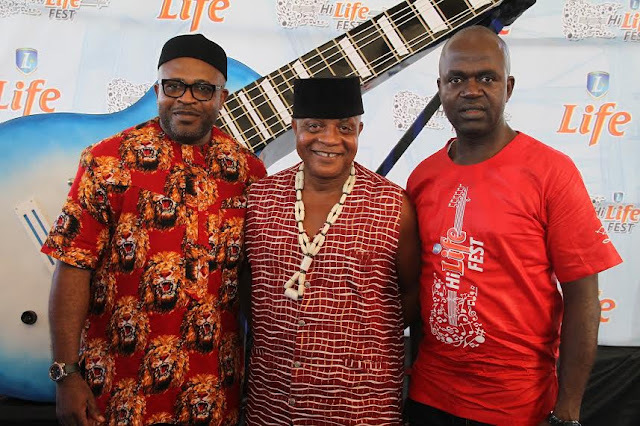 Music is important to the Igbo people, especially highlife music, and with highlife legends like Osita Osadebe, Celestine Ukwu, Oliver De Coque and many others, Hi-Life Fest is our way of bringing this rich genre of music back to the mainstream,” Agu said. Mr. Kufre Ekanem, Corporate Affairs Adviser, Nigerian Breweries Plc., said that Hi-Life Fest will further enrich the shared values of progress between Life Lager Beer and the people of South East Nigeria as has been the case with Progress Booster Show and Umu Oganiru Festival, the brand’s existing consumer engagement platforms. According to Mr. Emmanuel Agu, regional winners will proceed to Onitsha for the grand finale where the overall winner will be rewarded with the sum of one million Naira and a one year recording deal. Winners of the regional auditions will be determined by the audience and a team of judges consisting of seasoned music producers and on-air-personalities who have over the years trained and mentored young talents in the entertainment industry. L-R: Mr. Kufre Ekanem, Corporate Affairs Adviser, NB Plc. ; Mr. Emmanuel Agu, Portfolio Manager, Mainstream Lager and Stout Brands, NB Plc. ; Mr. Funsho Ayeni, Senior Brand Manager, Regional Mainstream Brands; and Mr. Josiah Akinola, Assistant Brand Manager, Regional Mainstream Brands, at the unveiling of the Hi-Life guitar to mark the official launch of Hi-Life Fest by Life Continental Beer in Owerri. L-R Ben Umeh, Regional Business Manager, Aba, NB Plc; Mr. Kufre Ekanem, Corporate Affairs Adviser, NB Plc. ; Bright Chimezie, highlife legend and Mr. Emmanuel Agu, Portfolio Manager, Mainstream Lager and Stout Brands, NB Plc., at the unveiling of the Hi-Life guitar to mark the official launch of Hi-Life Fest by Life Continental Beer Owerri. L-R Mr. Kufre Ekanem, Corporate Affairs Adviser, NB Plc. 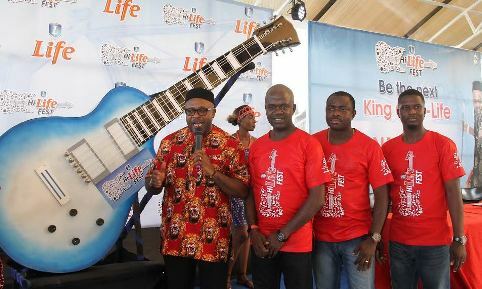 ; Bright Chimezie, highlife legend and Mr. Emmanuel Agu, Portfolio Manager, Mainstream Lager and Stout Brands, NB Plc., at the unveiling of the Hi-Life guitar to mark the official launch of Hi-Life Fest by Life Continental Beer in Owerri. L-R Ben Umeh, Regional Business Manager, Aba; Osasu Oviawe, Head Brewer, Awo-Omamma, NB Plc; Mr. Kufre Ekanem, Corporate Affairs Adviser, NB Plc. 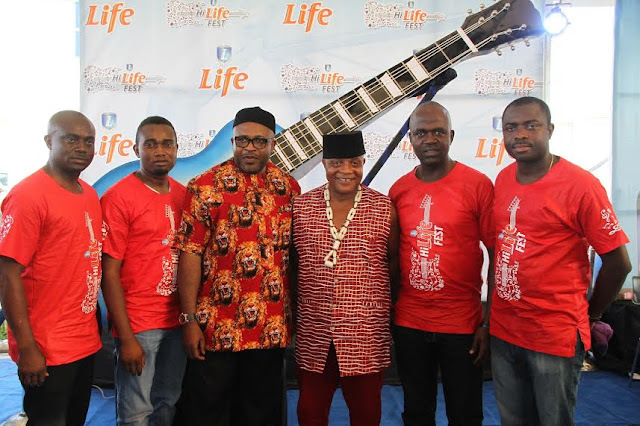 ; Bright Chimezie, highlife legend; Mr. Emmanuel Agu, Portfolio Manager, Mainstream Lager and Stout Brands, NB Plc., and Mr. Funsho Ayeni, Senior Brand Manager, Regional Mainstream Brands, at the unveiling of the Hi-Life guitar to mark the official launch of Hi-Life Fest by Life Continental Beer in Owerri. L-R Mr. Kufre Ekanem, Corporate Affairs Adviser, NB Plc. ; Umunnakwe Nwajiaku, winner of the first regional final and Bright Chimezie, highlife legend; at the unveiling of the Hi-Life at the first Hi-Life regional final in Owerri.